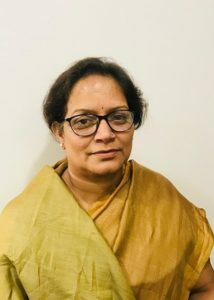 Dr. Savita Singh is an Assistant Professor in Government Nagarjuna Post Graduate College of Science, Raipur, Chhattisgarh. Her teaching experience spans 24 years (at both PG and UG level), including MPhil teaching experience 18 years. More than 52 MPhil dissertations have been guided by her. She has been working as a Research Guide for 13 years and 12 PhDs have been awarded under her supervision. Currently 6 scholars are working under her. She has written 2 Books and 25 Research Papers in reputed journals. She has coordinated 3 Refresher courses at the Pandit Ravishankar Shukla University, Raipur Chhattisgarh, India. She has organised 4 conferences and 4 workshops. She is a Member of the Board of Studies in 4 different colleges. She is the Editor of Literati, a research journal. She is also the Convener of English Language Teacher’s Association of India (ELT@I) Raipur Chapter. She is the Patron and Key person of the Chhattisgarh English Teachers’ Association (CETA). Her interests are reading, writing, teaching and gardening. She has been appointed as the first Coordinator of FSLE-India of its Chhattisgarh Region.